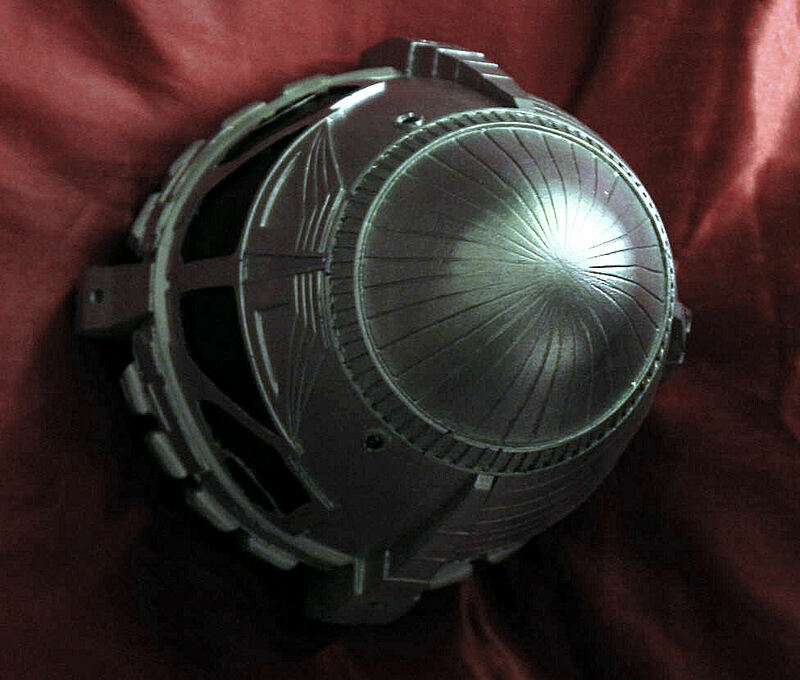 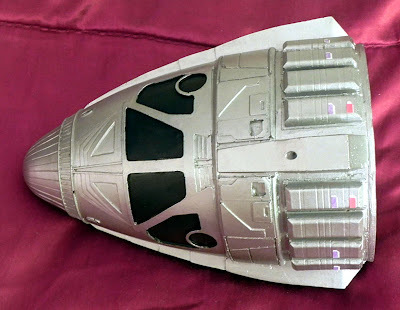 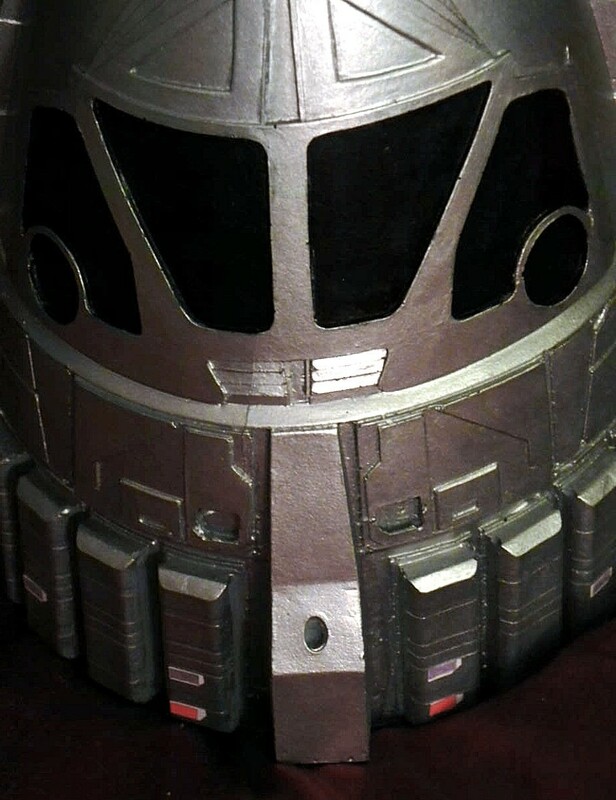 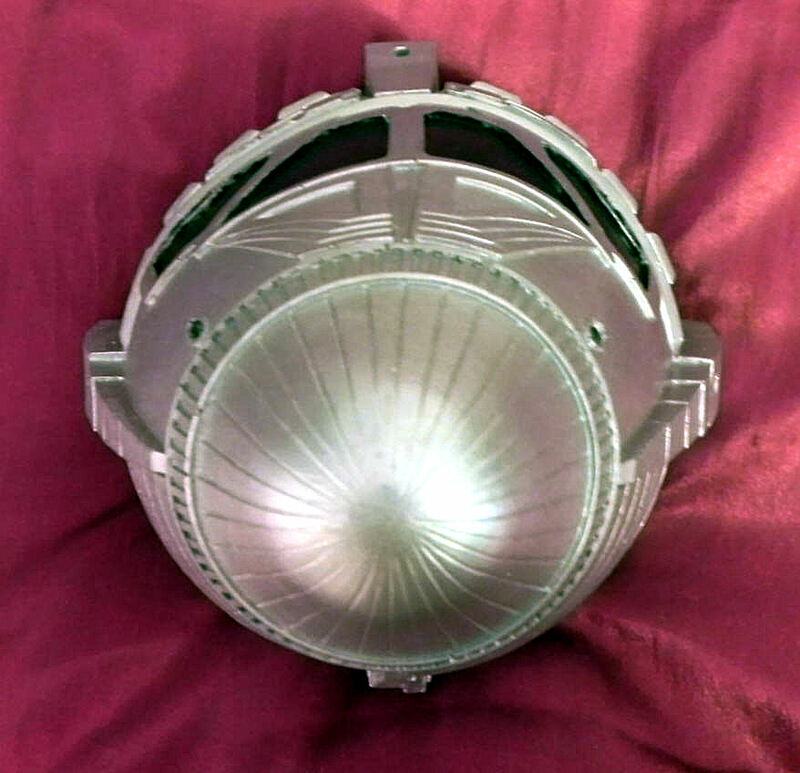 Presented below are some detailed photos of the topmost command module section from a Phoenix warp drive starship filming model created for the production of Star Trek: First Contact (1996). 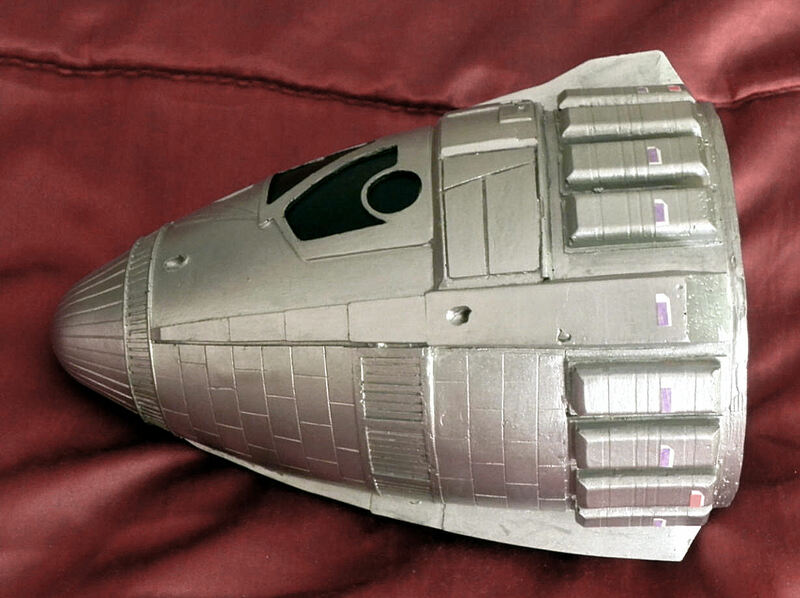 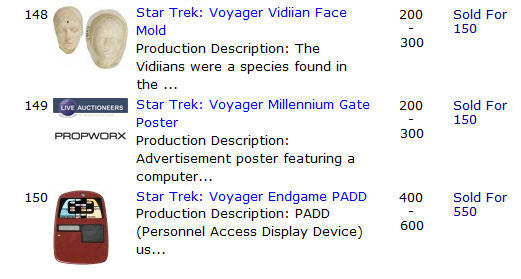 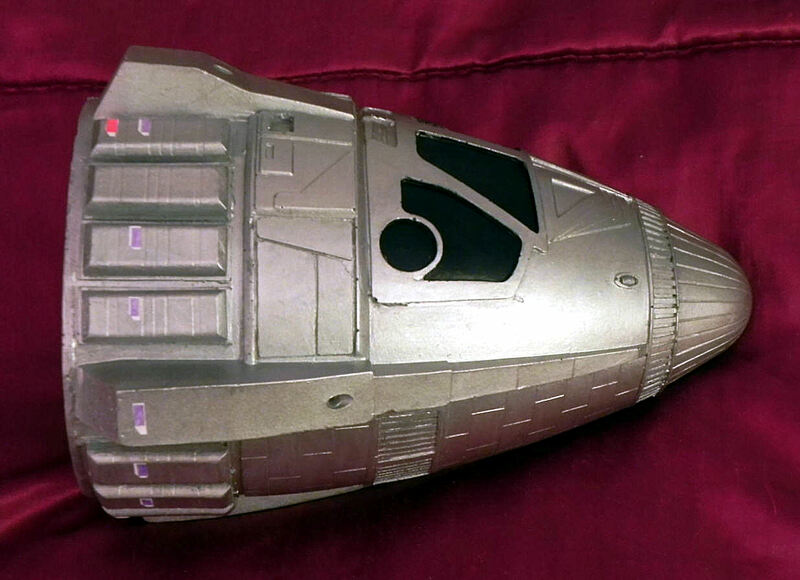 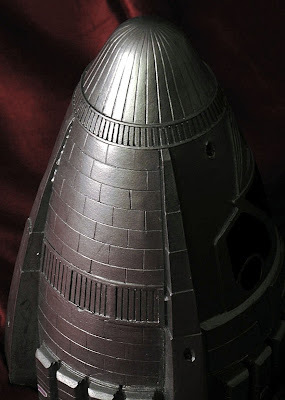 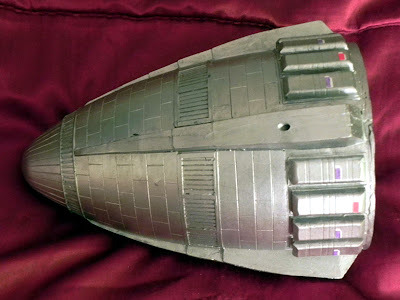 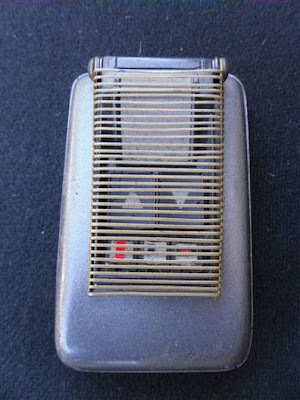 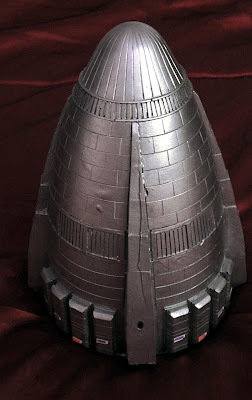 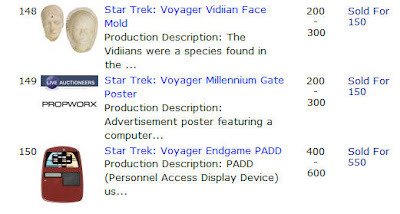 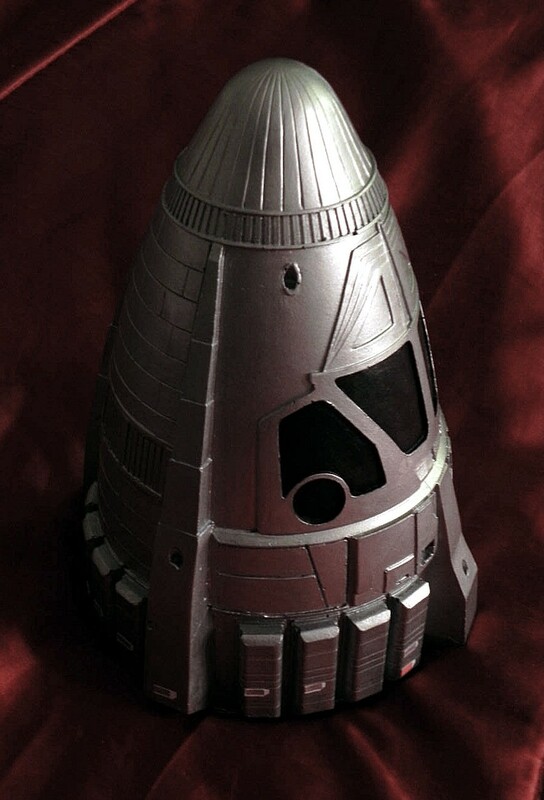 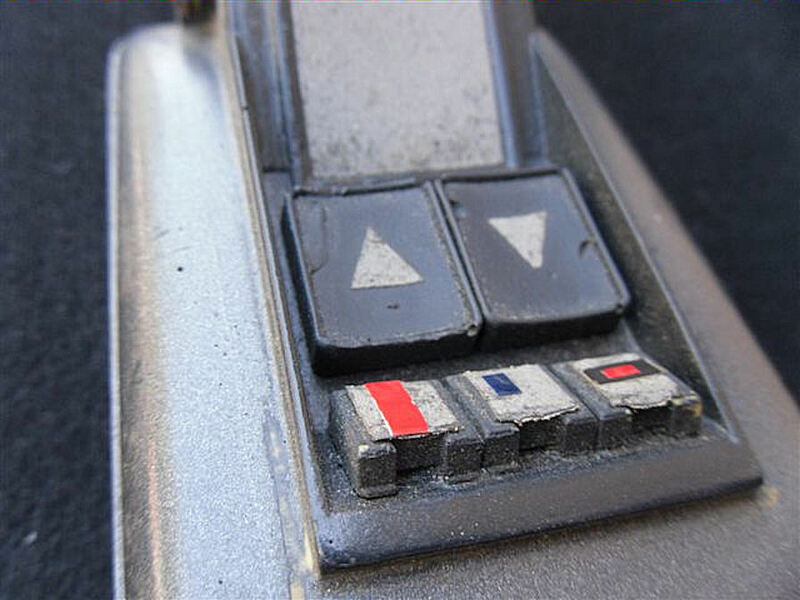 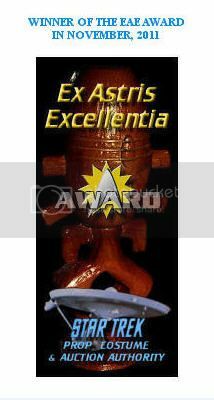 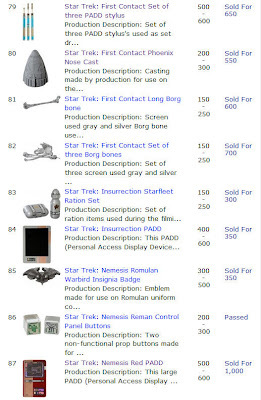 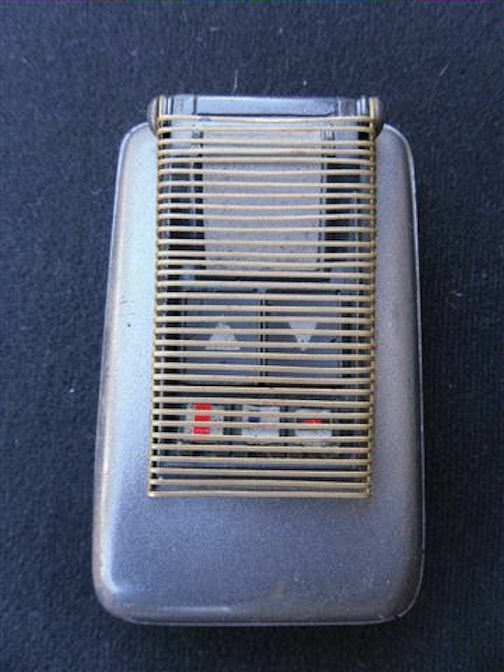 This model was consigned to the recent Propworx June 2011 Star Trek auction from the collection of Star Trek visual effects artist Doug Drexler, and was painted a flat grey color at its time of sale. 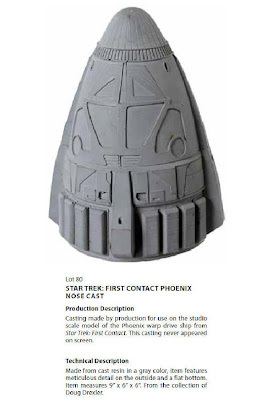 It has since been repainted to reflect the correct on-screen appearance of the Phoenix. 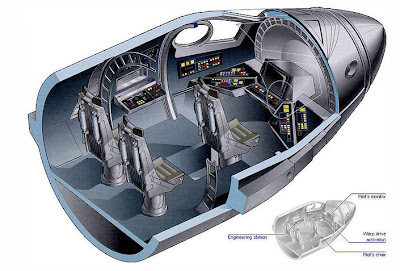 Some screenshots of this first faster-than-light starship from the feature film are displayed after the modern day images. 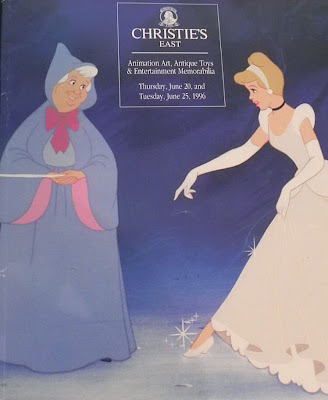 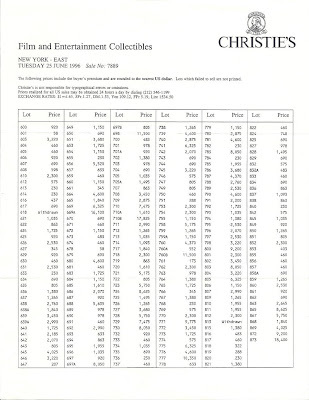 The Christie's East Entertainment Memorabilia Auction was held on Tuesday, June 25, 1996 in New York. 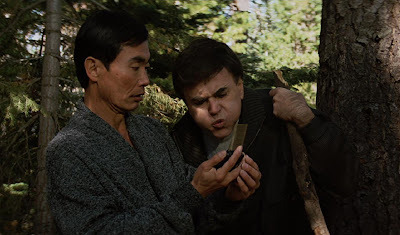 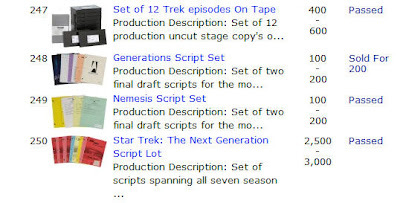 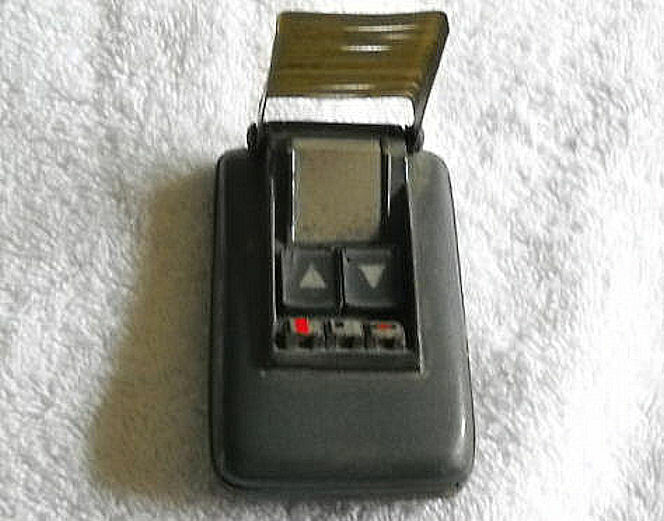 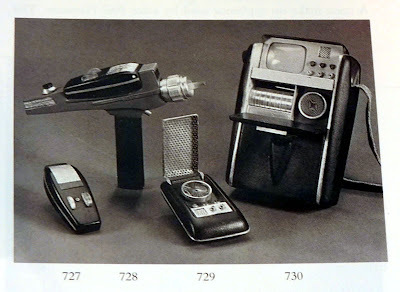 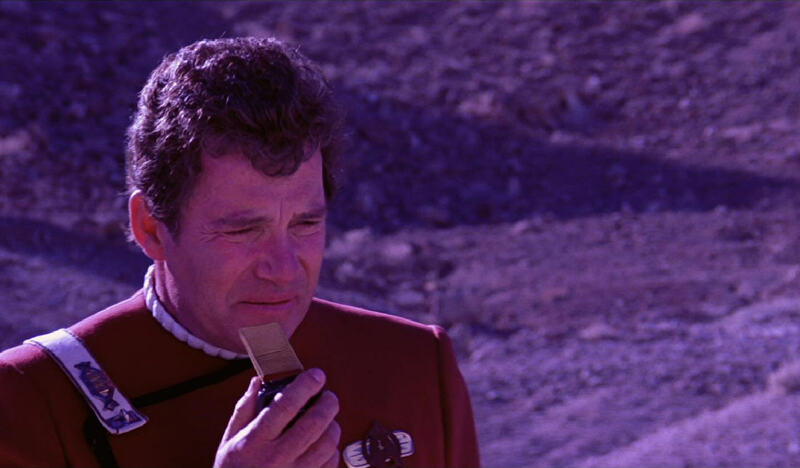 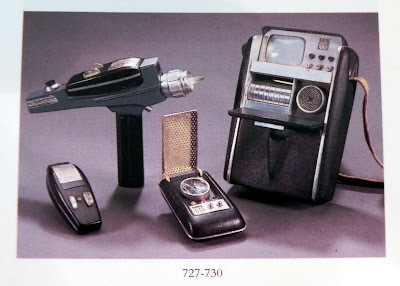 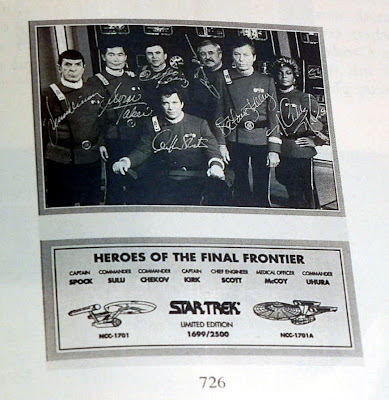 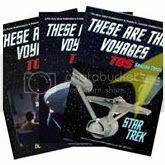 It featured a notable Star Trek offering that included a complete TOS landing party hand prop set as well as an autographed photo of the Original Series cast wearing the maroon starfleet officer's uniforms of the feature films. 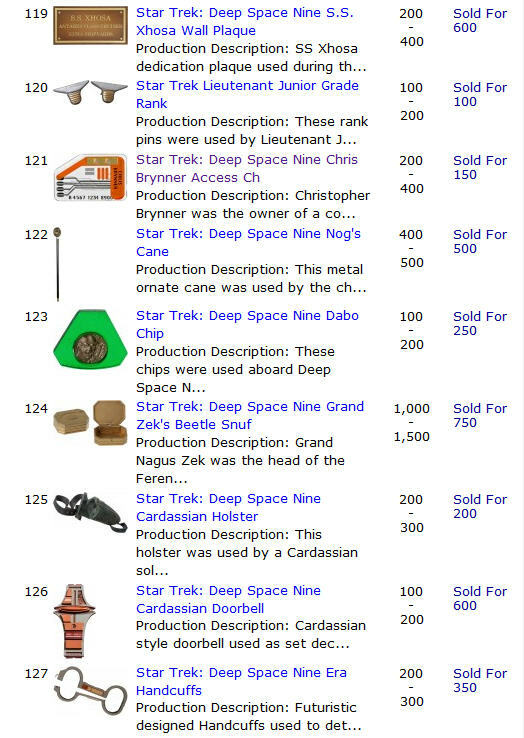 Presented below are the full auction catalog listings for these items along with their final sales prices. 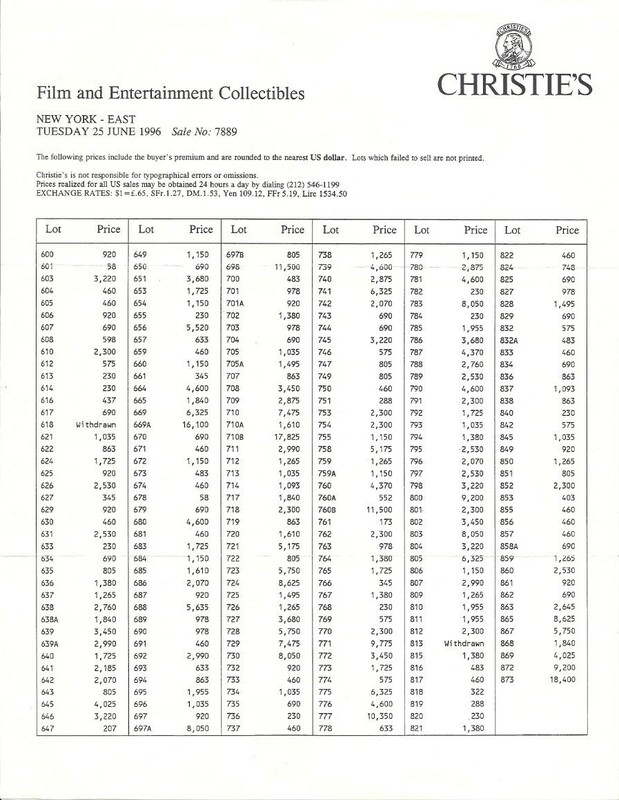 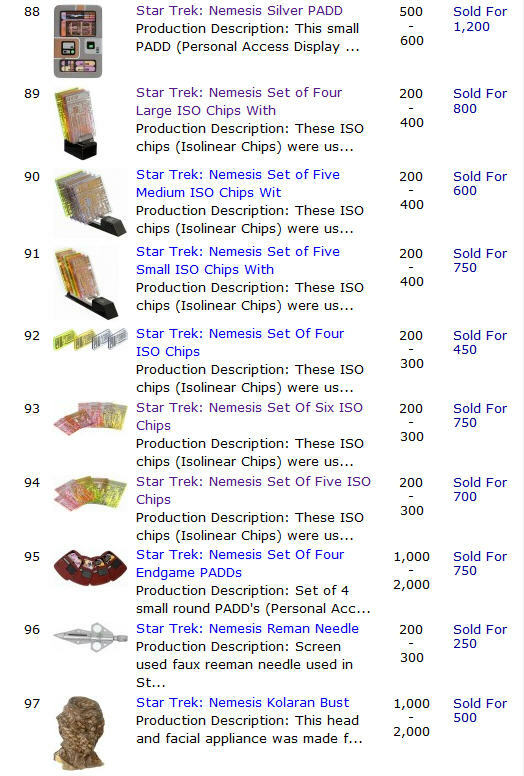 A complete set of final prices realized for all entertainment lots in the June, 1996 sale is published at the conclusion of this post. 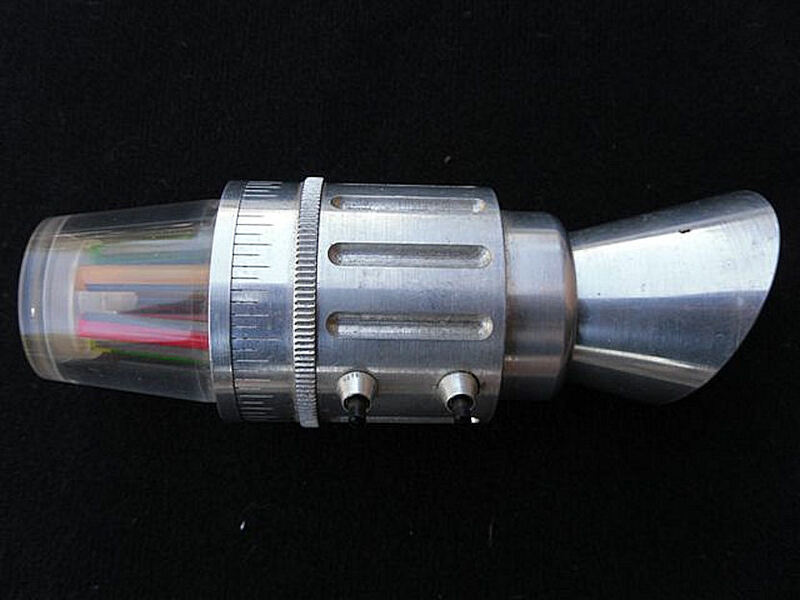 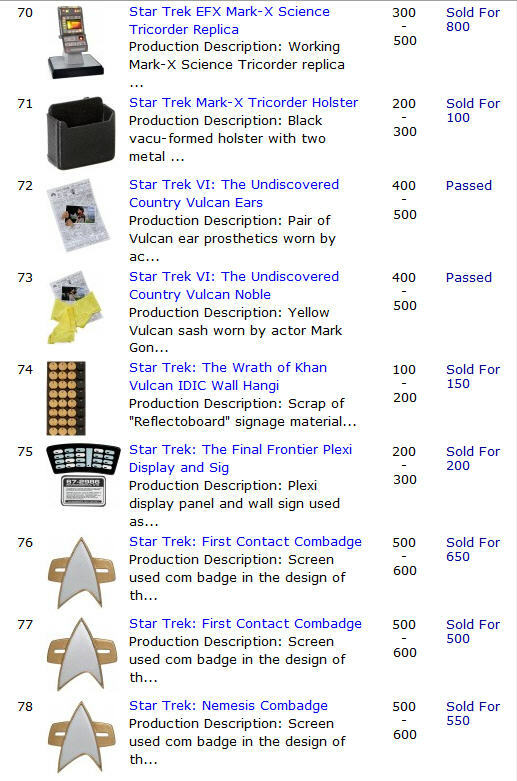 The highly anticipated Propworx Star Trek Auction concluded earlier today; offering collectors a total of 257 lots of exceptional props, costumes and artwork from the various television series and feature films in the franchise. 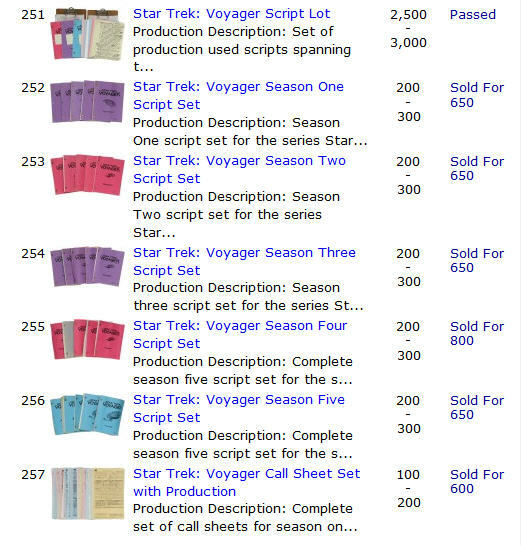 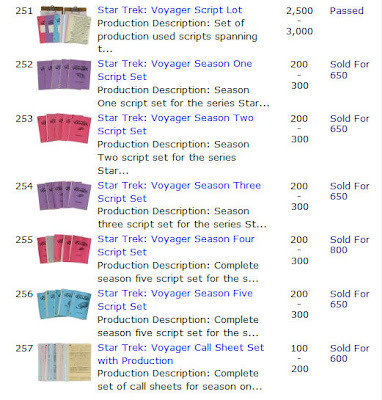 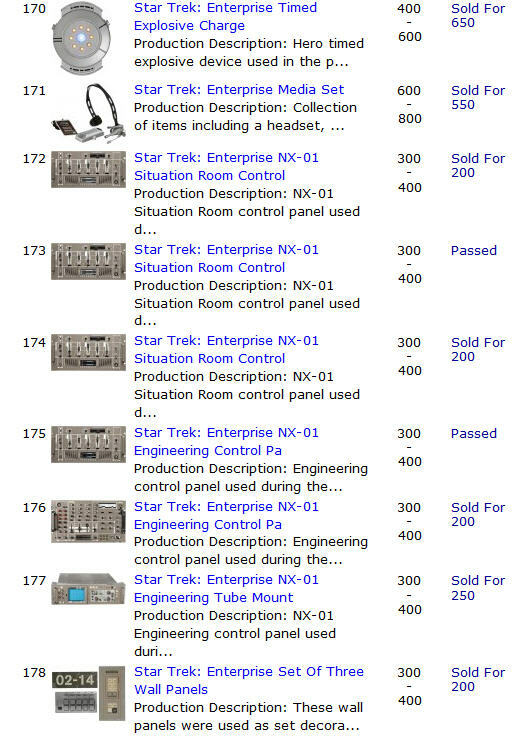 This was the second sale held by Propworx dedicated entirely to Star Trek - after its highly successful auction last year at the 2010 Las Vegas Star Trek Convention - and, it is hoped, the tradition will continue for many years to come! 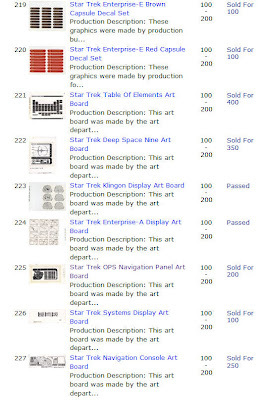 Some highlights of this exciting day of bidding included the TOS Matte Painting from "The Menagerie, Pt. 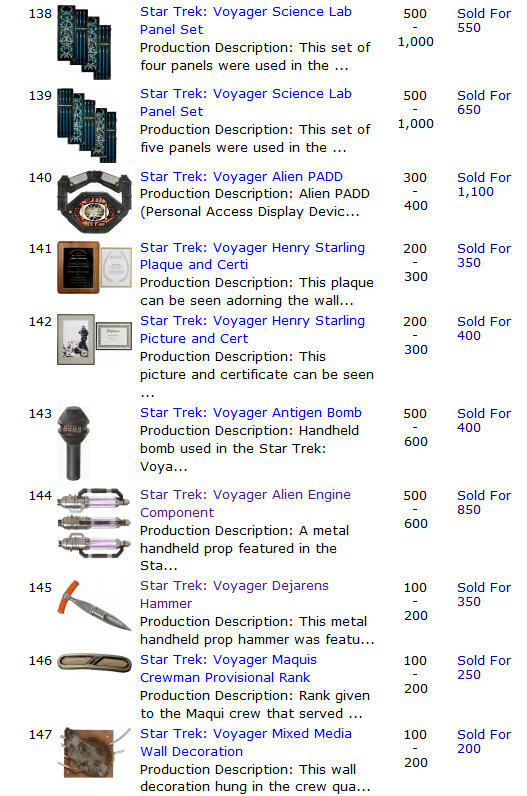 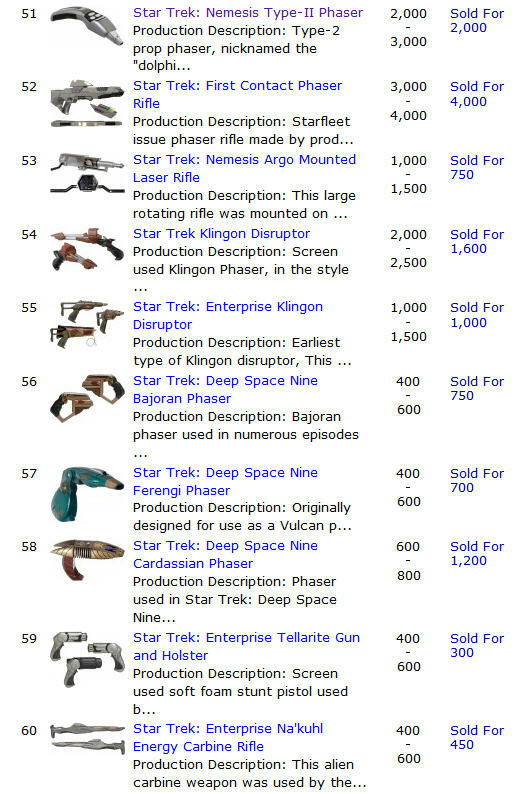 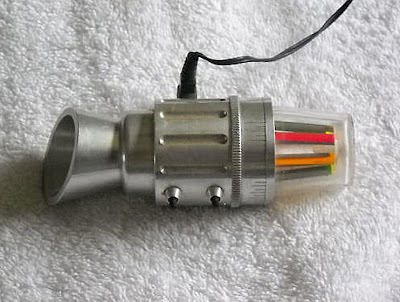 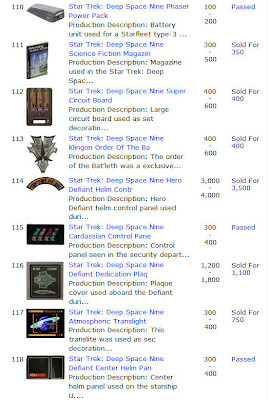 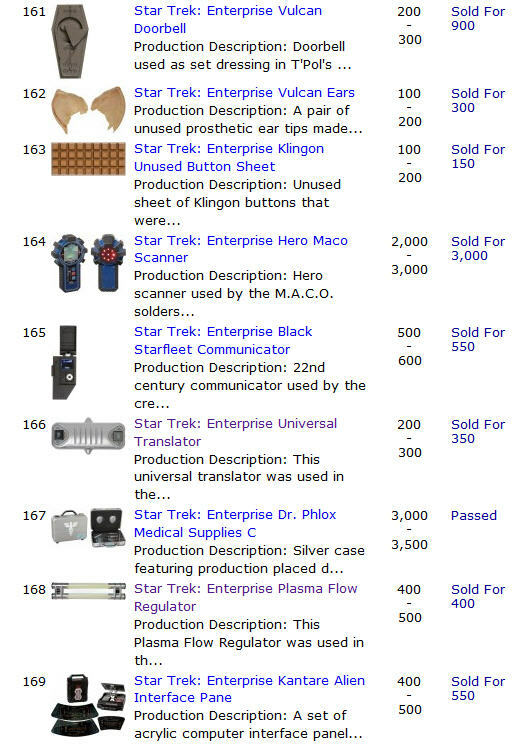 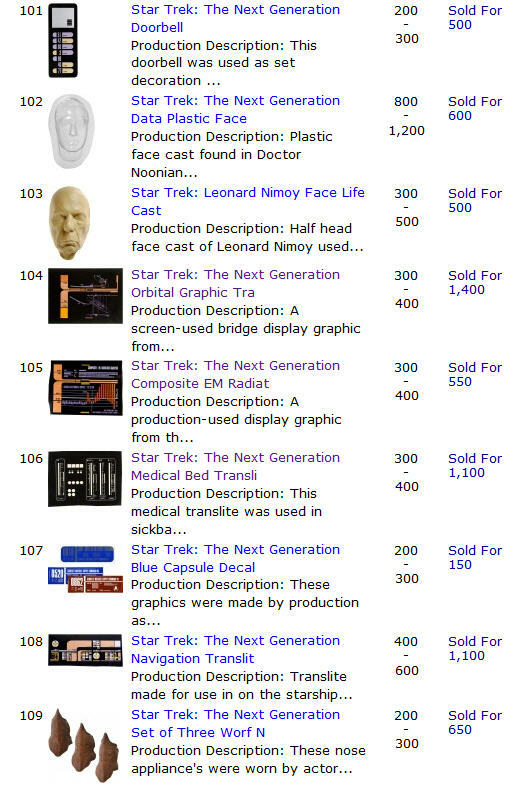 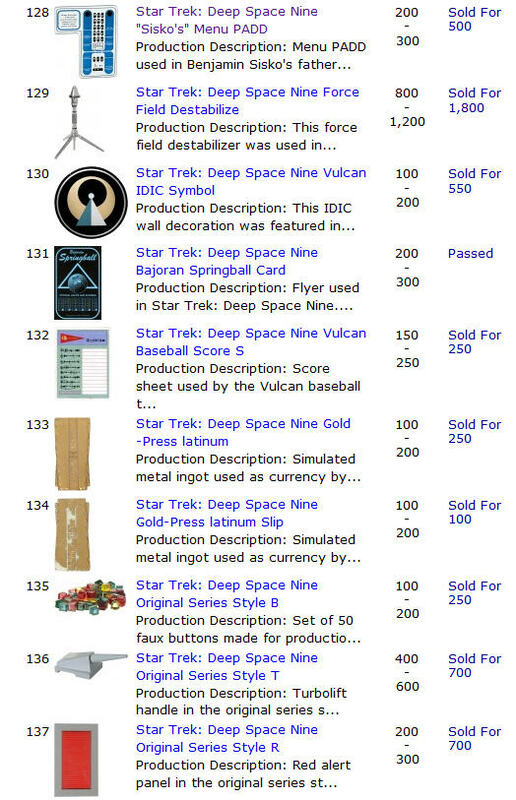 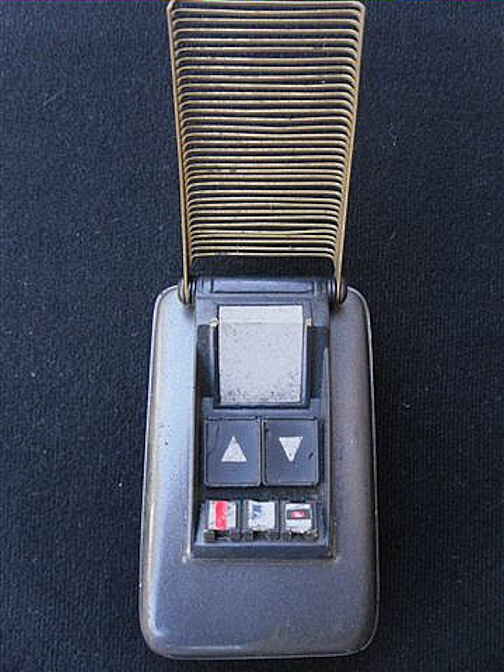 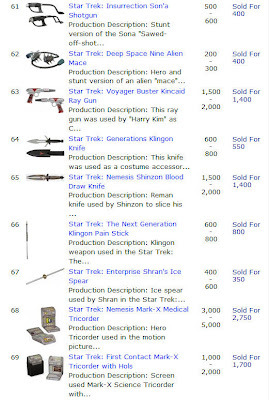 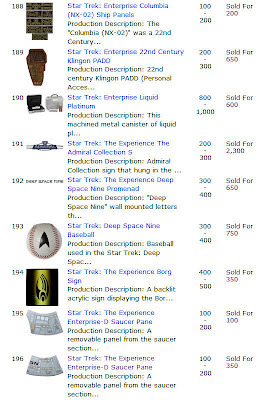 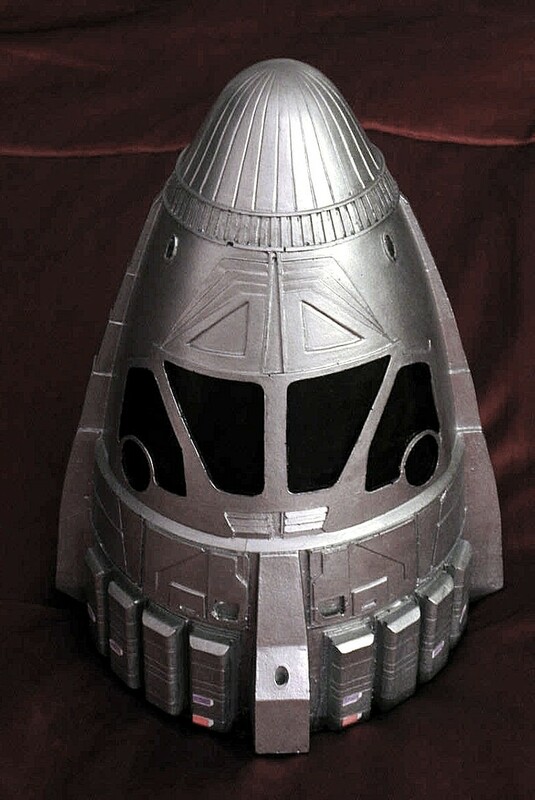 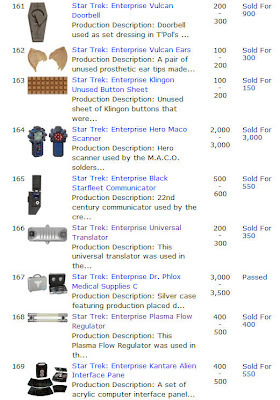 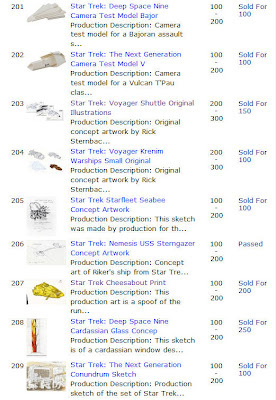 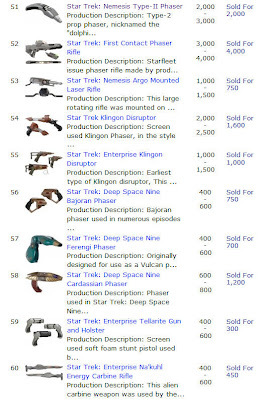 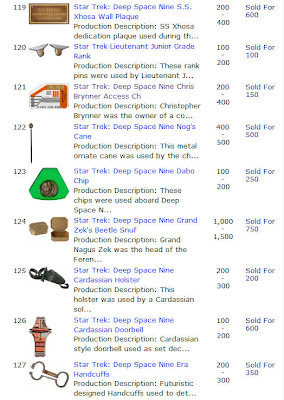 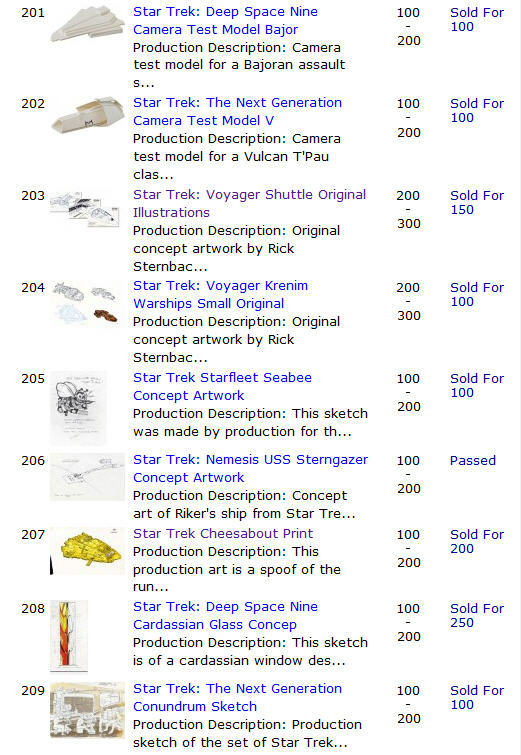 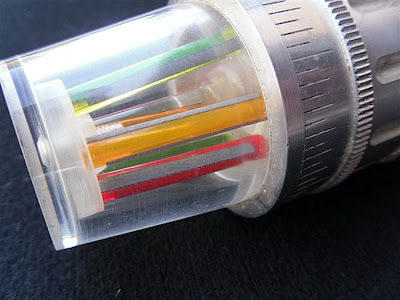 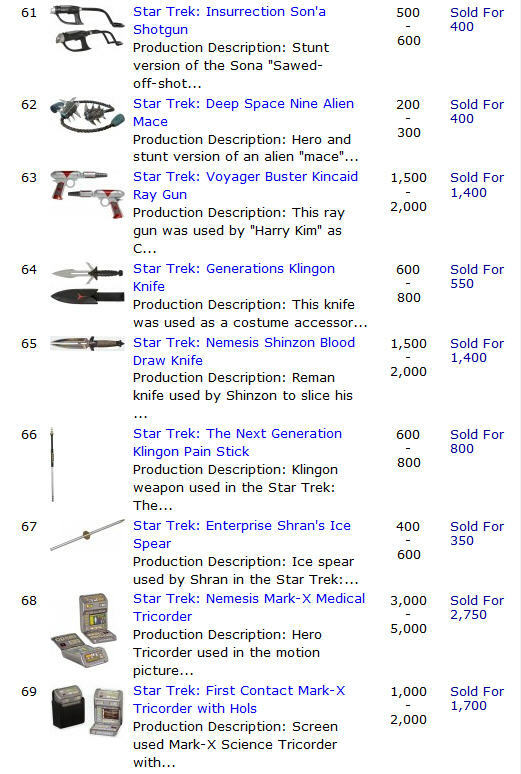 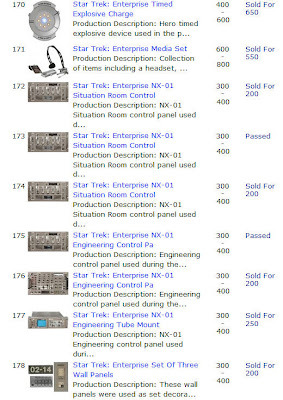 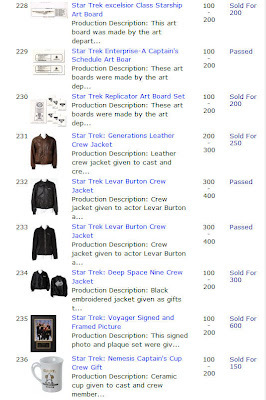 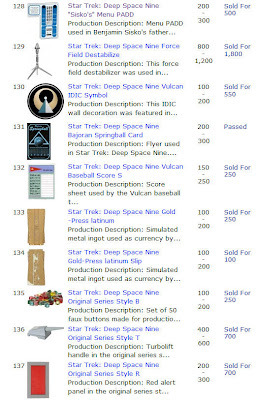 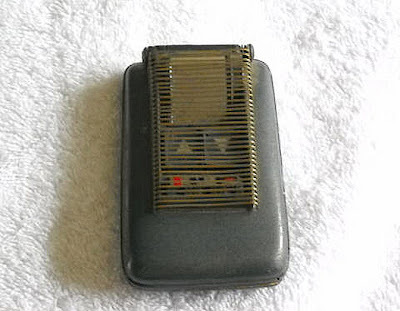 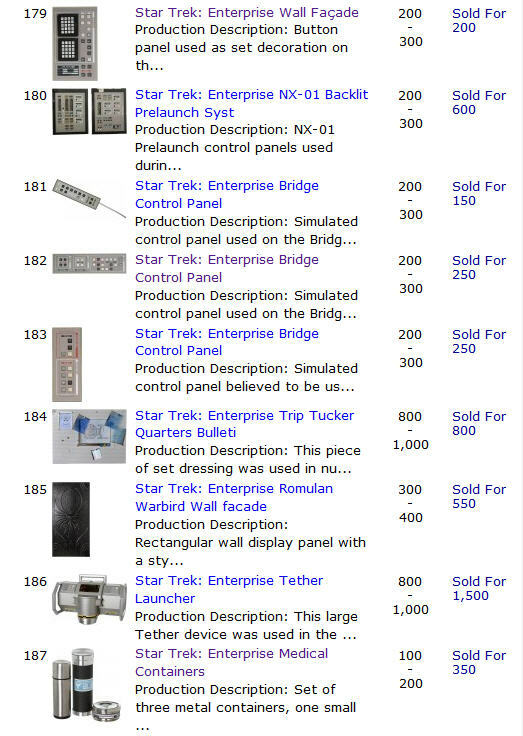 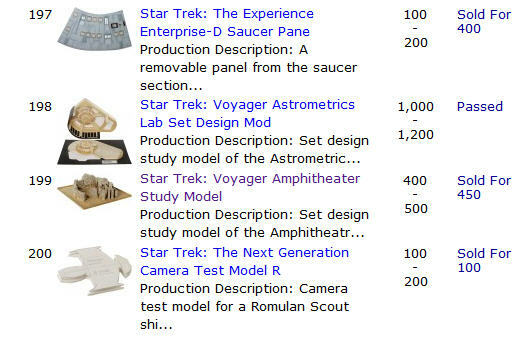 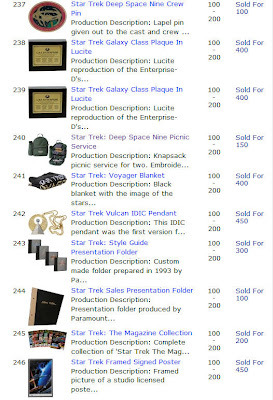 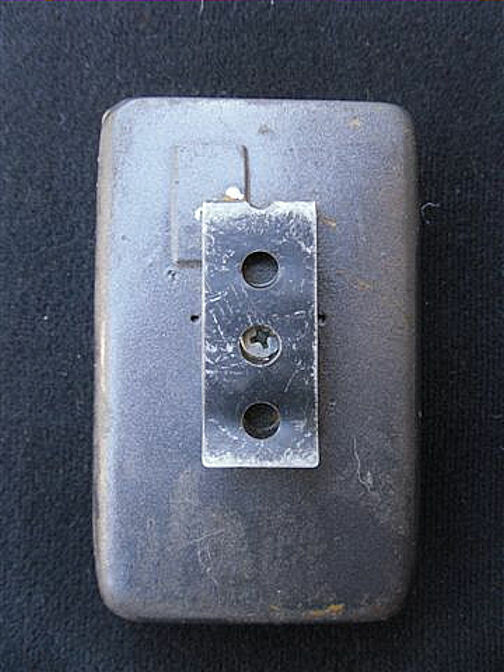 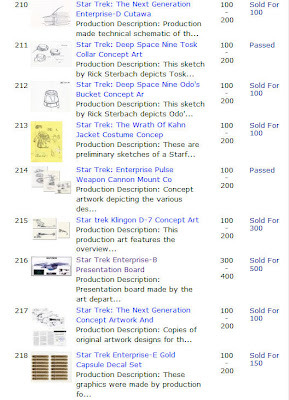 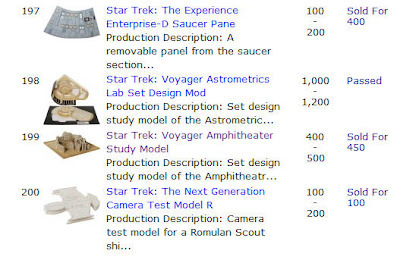 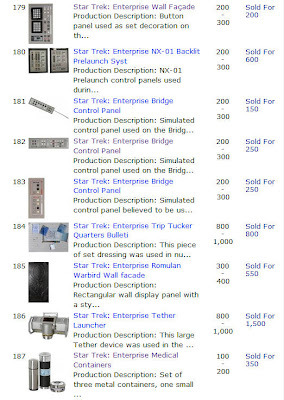 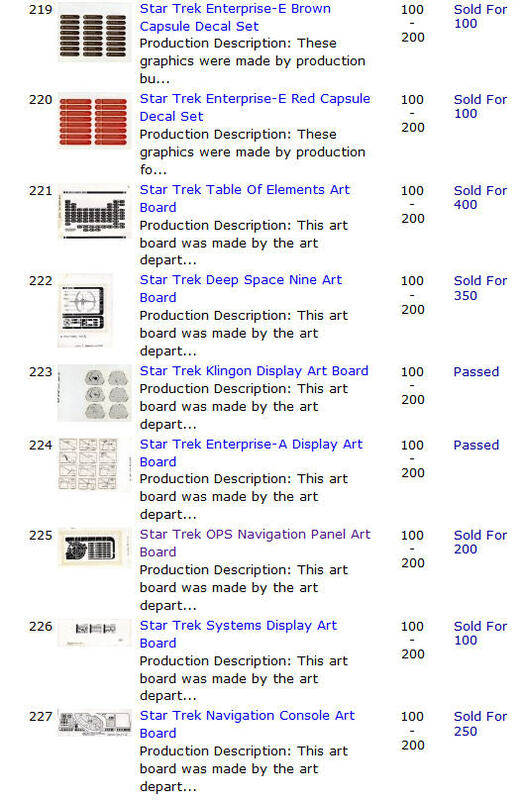 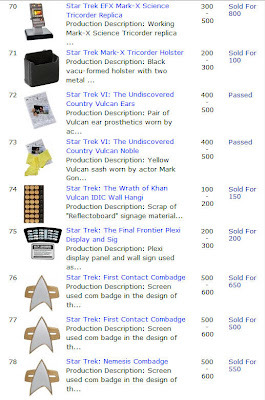 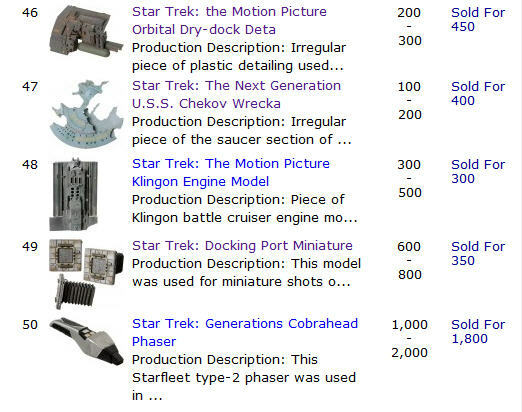 1" realizing a final bid of $12,000; the TOS Red Starfleet dress from "The Apple" selling at $8,000; a working Star Trek: First Contact Phaser Rifle reaching $4,000; the 67" x 13" Star Trek: DS9 hero Defiant Helm Control panel witnessing a high bid of $3,500; and a hero Star Trek: Nemesis Mark-X Medical Tricorder selling for a hammer price of $2,750. 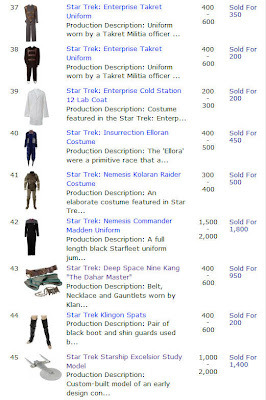 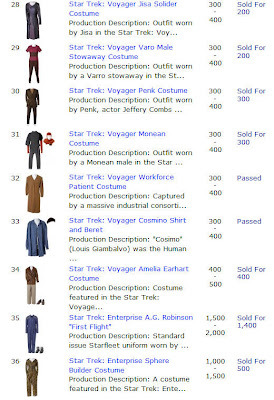 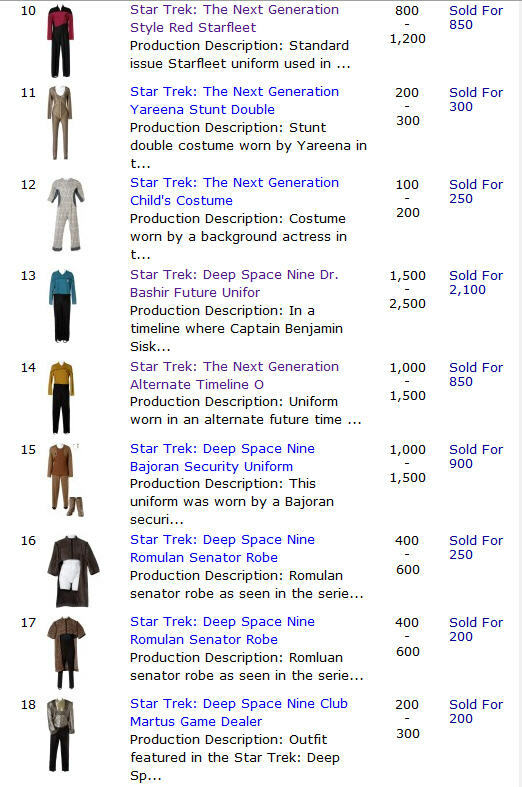 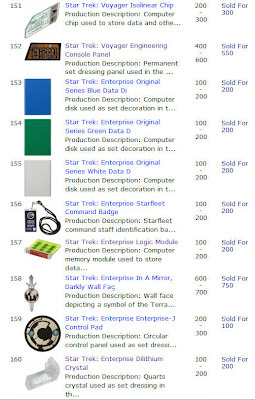 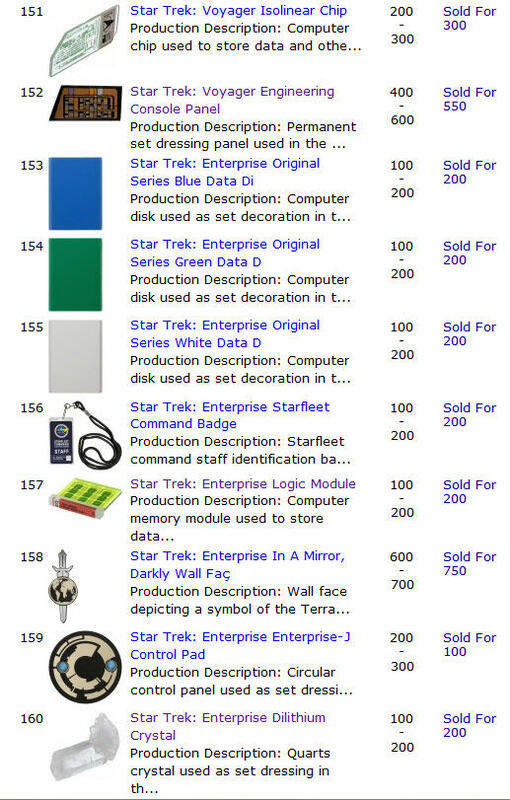 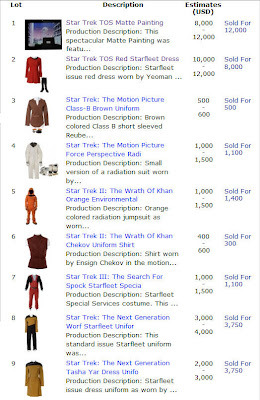 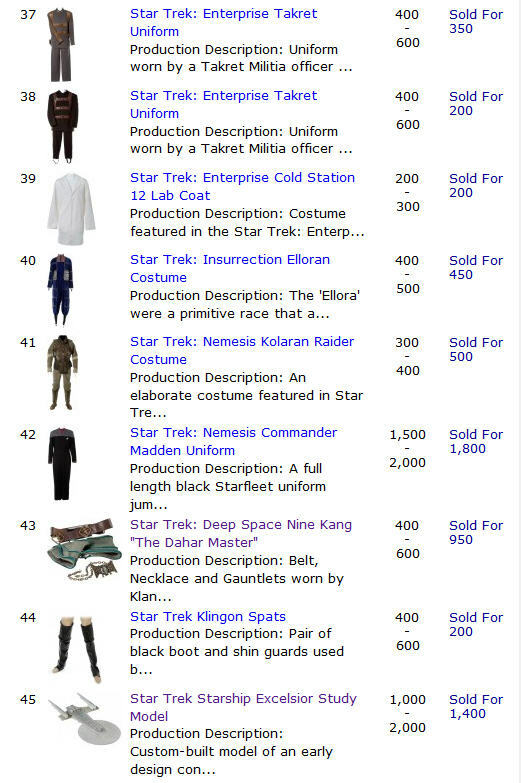 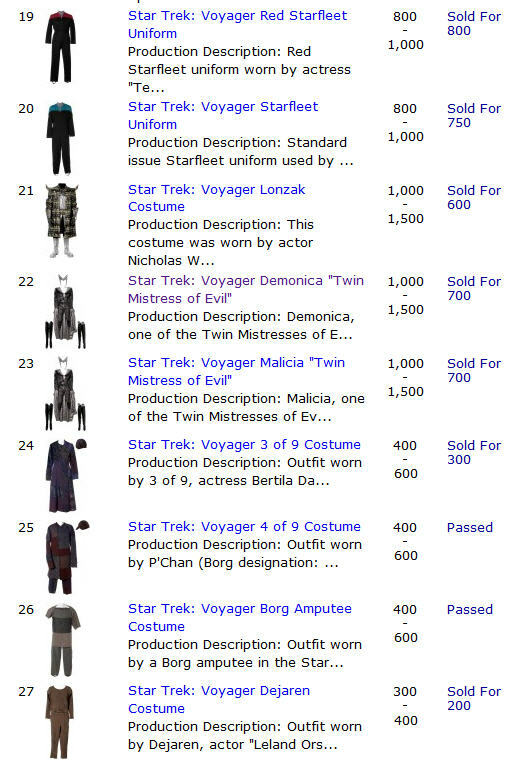 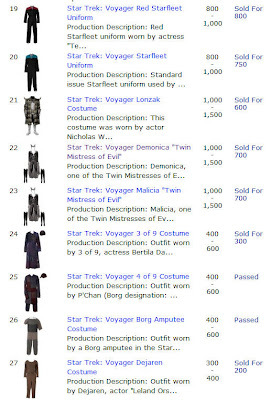 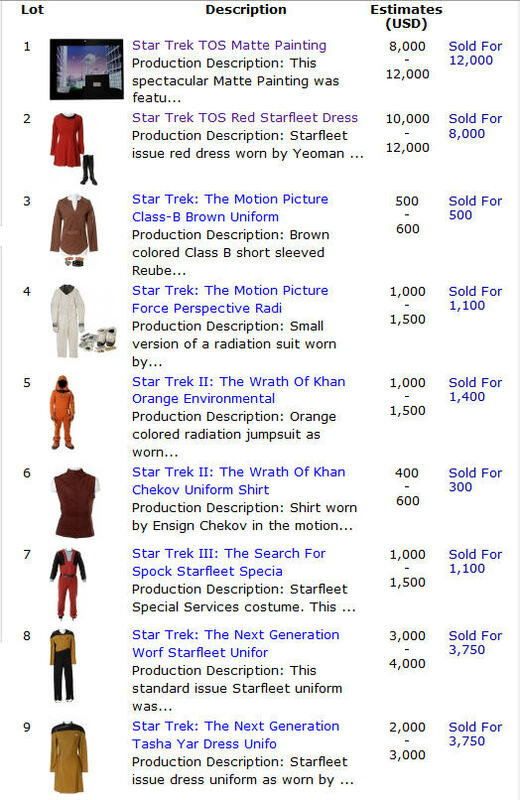 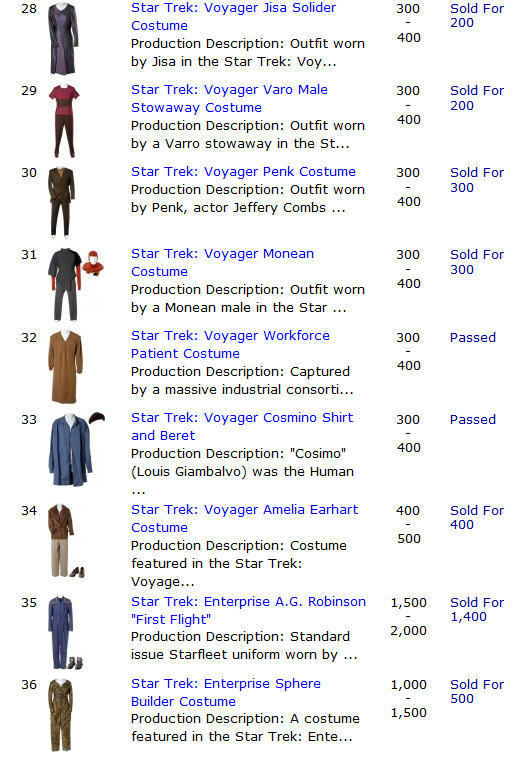 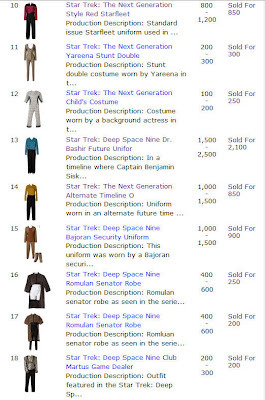 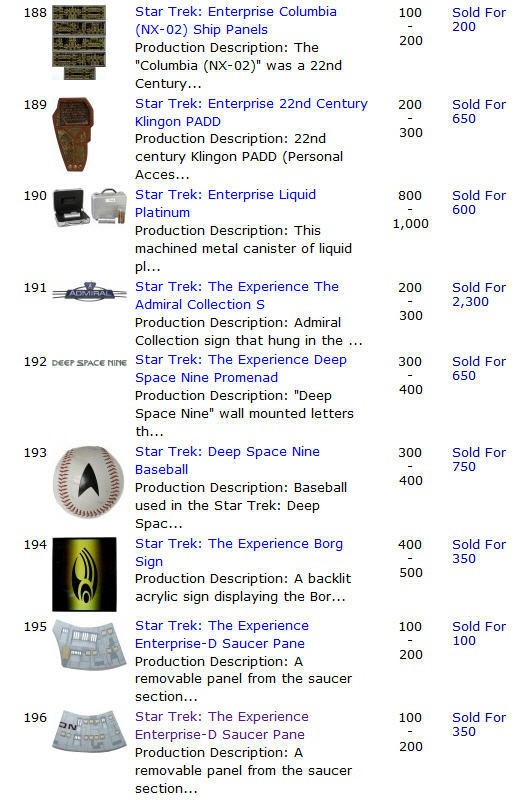 Other than the TOS dress, the highest selling costumes included a Star Trek: TNG starfleet uniform worn by Michael Dorn as Worf, which sold for $3,750; a TNG Tasha Yar Dress Uniform which also reached $3,750; and a Star Trek: Nemesis Commander's uniform which realized $1,800.